Another Night, Another Day by Sarah Rayner is a touching novel that deals with a serious issue in a realistic, honest and often humour filled, way. When we are introduced to Karen, Michael and Abby they are all strangers whose lives intertwine when they all suffer a life changing event that causes them to be admitted to Moreland’s Psychiatric clinic. Sarah Rayner uses humour to write about something that many people don’t understand, myself included, and are often fearful of. The characters in Moreland’s are likable, funny and everyday people we can all relate to, until they each suffer a mental breakdown and are forced to seek help before they lose everything in their life that matters. 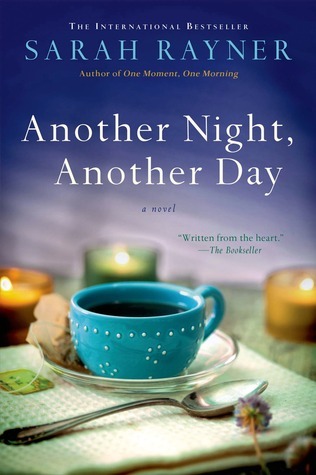 Another Night, Another day is a great novel that entertains us, while at the same time, educates us. People with mental health issues are often stigmatized, but Sarah Rayner opens our eyes to the fact that mental health issues can affect anyone at any time and by using characters that we the reader can relate to and feel connected to, it opens our hearts and minds and allows us to feel empathy for those dealing with mental health issues. This novel helps to break the stereotype that many people have by giving us these great characters and inviting us into their lives, which are so normal you can’t help but relate to them. I really enjoyed how genuine and authentic this novel was. The characters are flawed and likable and their stories were compelling and sad and so true to form. Even though the basis for the novel is a serious one, the author tells it by using a perfect balance of seriousness and lightness and by having characters that are warm and genuine, who at the end of the day are struggling like most of us to find a way to deal with the stress and pressures of everyday life. I would definitely recommend this read to anyone looking for a thought provoking story that teaches as much as it entertains. I look forward to reading more from this author.